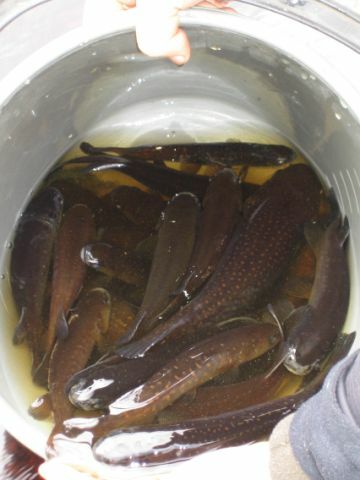 A bucketful of Giant kokopu (Photo: Emily Funnell). Four of the five galaxiid whitebait species (inanga, koaro, giant kokopu and shortjaw kokopu are ranked in the New Zealand Threat Classification System (Townsend et al. 2008) as ‘at risk – declining’; banded kokopu are listed as not threatened (Allibone et al. 2010). Threat status is assigned according to the number of mature individuals (i.e. breeding adults), area of occupancy of the smallest area essential to any life history stage (e.g. spawning habitat), and trends in the population status over the next 10 years or three generations—whichever is longer. The ‘at risk – declining’ listings for inanga, koaro, giant kokopu and shortjaw kokopu were assigned due to the extensive loss of spawning and adult habitat. Habitat modifications including removal of forest, draining of wetlands, degradation of river estuaries, intensification of farmland, as well as barriers to fish migration and decreasing water quality are key contributors to the loss of habitat. The contribution of whitebait harvest to threat status is unknown but it is considered less significant than loss of habitat. Further to this, records on the New Zealand Freshwater Fish Database (NZFFD) indicate that some of the migratory species are declining both in their geographic range and abundance at a site. 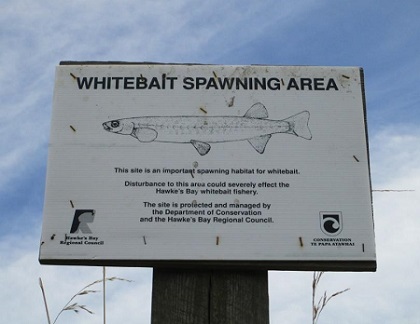 The introduction of exotic species and fishing pressure has also impacted on whitebait species. The Department is responsible for the management of the whitebait fishery and compliance with the regulations. The regulations have evolved over the past century and are aimed at managing exploitation of the fish and controlling fishing behaviour (McDowall, 1984; McDowall, 1996). The Department doesn’t have comprehensive data on catch rates of whitebait. However, anecdotal evidence suggests a significant decline in whitebait catches. For example, there are historical accounts of catches so large that whitebait was used to fertilise farmland. Rangers regularly patrol rivers throughout New Zealand making sure whitebaiters are complying with the regulations. By and large whitebaiters are compliant; however approximately one third of prosecutions by the Department are related to whitebaiting offences. In the past 30 to 40 years our understanding of the migratory galaxiids has increased significantly. We know a lot more about spawning and adult habitat requirements for most species. However, the location of a giant kokopu spawning site this year by NIWA scientists was a first, and an exciting find. The Department, alongside other organisations and groups, has increased public awareness of the whitebait species and their habitat requirements. It is encouraging to see an increased interest and willingness to fence and plant spawning and adult whitebait habitat. 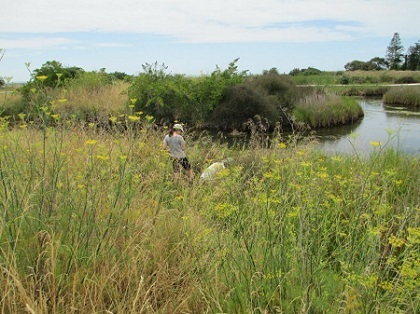 The Department has been working with regional councils, landowners, iwi, and community groups such as the Whitebait Connection to restore both adult and spawning habitat at various sites around the country. There are still gaps in our knowledge particularly in relation to larval habitat and food requirements of the whitebait species; however this gap in knowledge is starting to be closed by university researchers. The whitebait species are iconic and fascinating. They stir emotion in many groups of New Zealand’s society who appreciate them for a variety of reasons. Whilst not everyone sees eye to eye with regard to the management of the whitebait species, most agree that they are declining in abundance. The Department acknowledges, encourages and supports the great work of everyone involved with conserving the whitebait species. Please continue to do what you can to ensure that these intriguing fish are here for future generations to admire and enjoy. Jane Goodman is a Freshwater Technical Advisor for the Department of Conservation based in Hamilton. ‘Gollumai galaxiid’ yes thats what they called it. Shades of Tolkein! Galaxias gollumai is the big reason for stopping the Hydroelectric station on the Nevis River. Tell me is this a very important new discovery or just another blocking manouver? ?